This magnetic rolling tray cover is the perfect addition to your collection to make sure nothing gets lost or tipped over and spilled! Fitting neatly over your RAW metal trays, this 14" x 11" cover will keep everything sealed in that is on your tray so that it doesn't get jostled around. Be put at ease when you have this handy cover nearby so you can enjoy your smokes even more! Leaf Lock Gear Smell Proof Bag - 4" x 6"
Leaf Lock Gear Smell Proof Bags are Odor-Tight and Water Tight. With a tight locking zipper top and reinforced seams around the edges. These are the only bags you'll want to use. 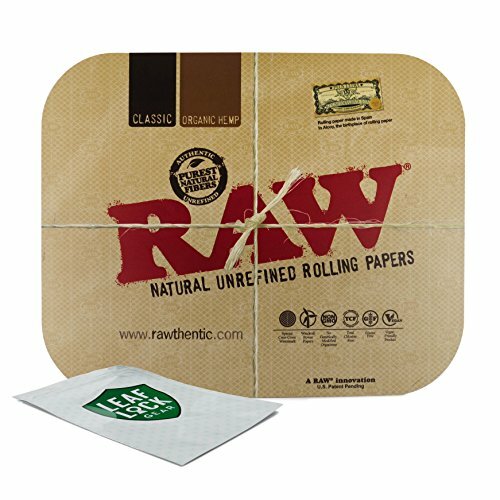 If you have any questions about this product by RAW, Leaf Lock Gear, contact us by completing and submitting the form below. If you are looking for a specif part number, please include it with your message.